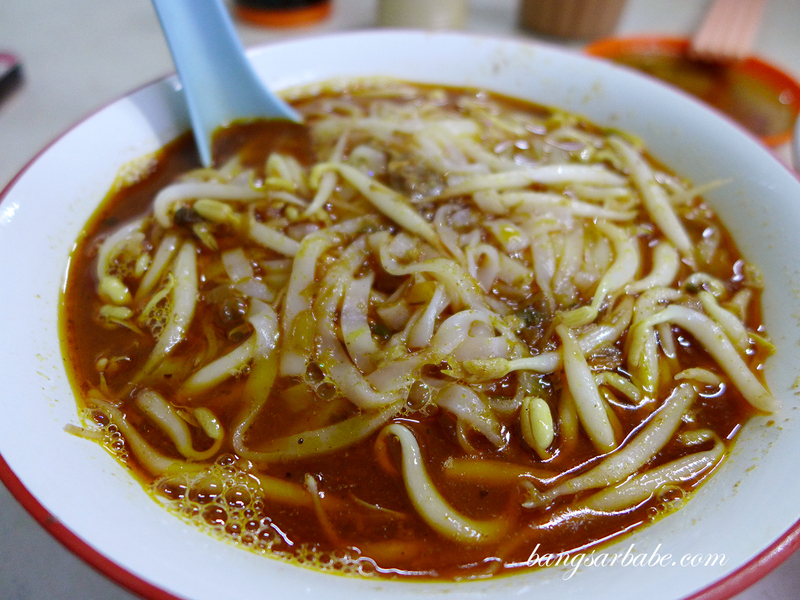 When it comes to Ipoh curry noodles, I tend to prefer the dry version because it’s more robustly flavoured compared to the soupy version. 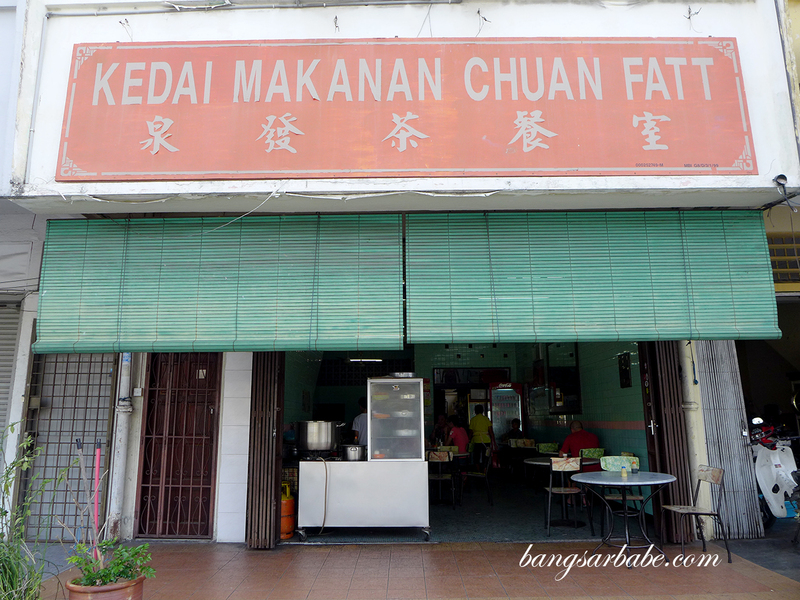 rif and I tried the curry mee at Chuan Fatt not too long ago, en route our trip to Penang. 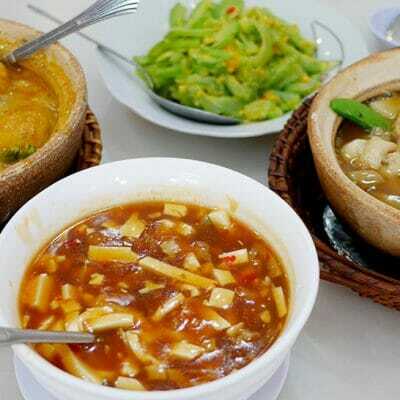 Chuan Fatt’s location isn’t the easiest to find (but you’ll be fine with the help of Waze) and the place has an old school charm — mosaic floors, seasoned tables and tiled walls the shade of jade. We tried both the dry and soup version of curry mee, complemented with a side order of fried chicken and roasted pork. The noodles here are slightly spicier compared to Nam Chau and you can choose to embellish it with top-ons or have it plain, like we did. I prefer it this way for I don’t fancy drenching gravy over the fried chicken. Takes away the crispiness, I reckon. 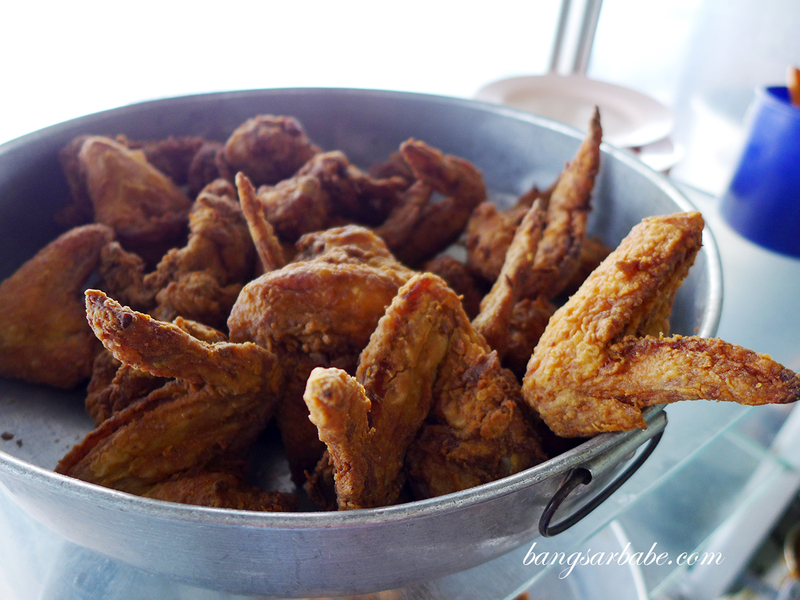 The fried chicken was pretty good stuff especially if they’re fresh out of the fryer. They serve this with some curry dipping sauce to coat and further flavour the chicken pieces. Not that it was needed as the chicken was good on its own, but it was a nice twist. I thought the roast pork was quite decent but some parts of the skin weren’t as crisp as I desired them to be. Nonetheless, it was a good complement to the noodles. 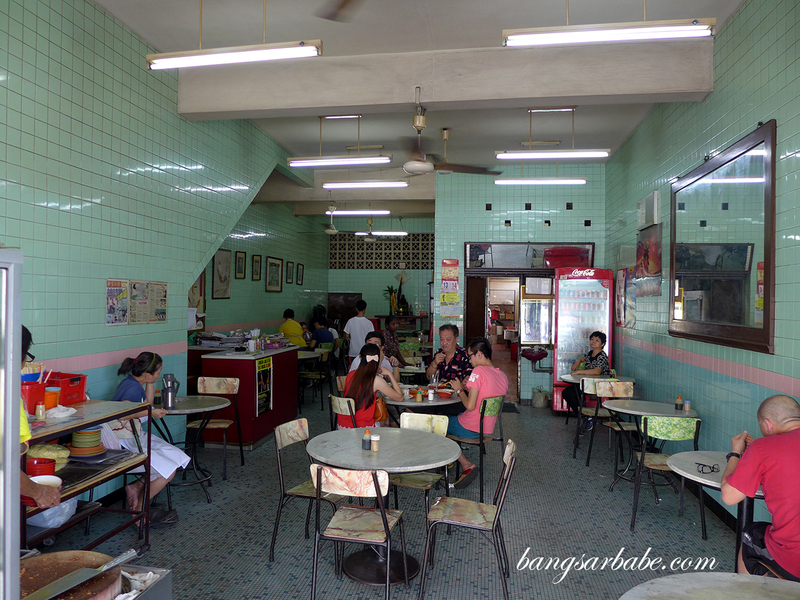 If you asked me, I still prefer the curry mee from Nam Chau for the gravy is tangier but I do like the fried chicken and roasted pork offering at Chuan Fatt. If you happen to be heading to Ipoh soon, give this place a shot. But note that they can only fit about 15-20 people per time, so you might have to wait a little. Verdict: Decent curry mee but it was the fried chicken that stole the show. 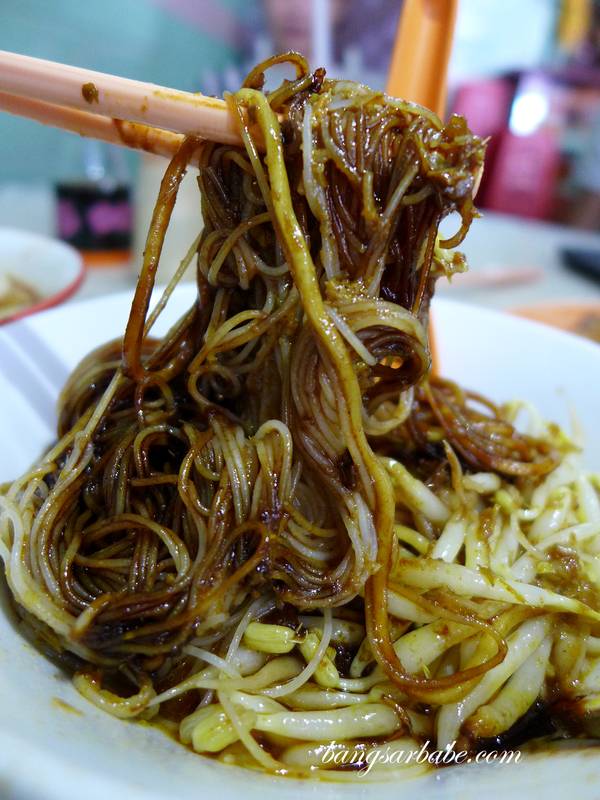 My parent’s favourite spot for curry mee in Ipoh. Both of them were born and raised in Ipoh, I guess this says a lot about the noodles that this tiny little coffee shop has to offer. But they do have their off days lar, sometimes the soup is super spicy!! !